Arnold Palmer famously called the game of golf "rewarding and maddening ... [and] the greatest game mankind has ever invented." 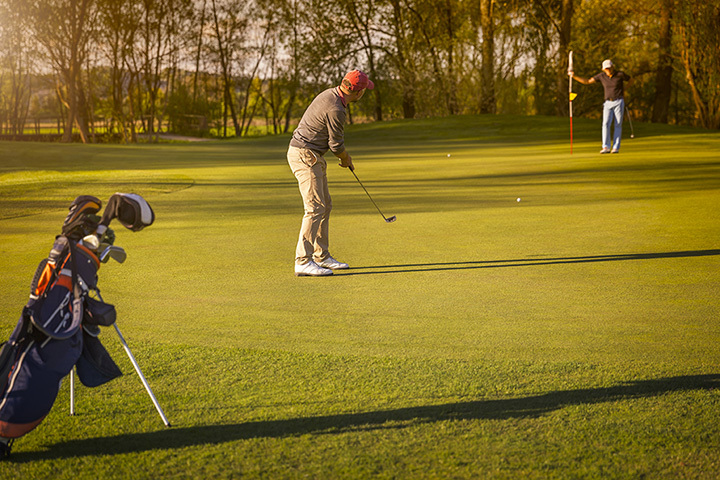 Whether it's your first time hitting the course or you're on the green every weekend, Mississippi has some beautiful public golf courses all throughout the state. Check out the 10 best. The Preserve is a beautiful course on the Mississippi Gulf Coast which is known for being particularly well maintained. Created by designer Jerry Pate, the course is a Certified Silver Audubon International Signature Sanctuary. The golf carts are equipped with GPS, and the course features a unique pitcher plant bog. Shell Landing is a challenging course known for its rolling hills and friendly staff. Located in Gautier, the course offers an affordable golfing experience with beautiful waterfront views. Shell Landing is also home to The Landing Bar and Grill, which is open to golfers and the public alike. Mossy Oak Golf Club is a new course in Mississippi, but it has been getting a lot of attention since opening late last year. The course is named for nearby camouflage giant Mossy Oak, and it was designed by architect Gil Hanse, who is known for the course he designed for the 2016 Rio Olympics. Nestled under the big sky of the Mississippi Delta, Tunica National Golf & Tennis strives to emulate a private club feel while providing the accessibility of a public course. The course was designed by Mark McCumber and is challenging enough to attract pros while still offering a playable experience for the casual golfer. Although The Refuge is located just 15 minutes outside of downtown Jackson, visitors to the course will feel that they have stumbled on a remote paradise (hence the name). Eighteen holes tucked into over 200 acres of beautiful natural wetlands, oak groves, and pine trees make this an unforgettable destination. Mallard Pointe Golf Course is located in Sardis, and it offers its visitors stunning views of Sardis Lake. Renovations in recent years, combined with affordable play and a friendly, knowledgeable staff have made this course a top golfing destination in north Mississippi. Olive Branch is one of the fastest-growing cities in the state, so it's no wonder that they're home to one of the best golf courses. Cherokee Valley opened in 1996, and the staff has put a lot of effort into maintaining the course throughout the years, making it more popular than many of the locations in nearby Memphis. The Dogwoods is a municipal course maintained by the City of Grenada. Named for the beautiful dogwood trees which grace the grounds, the course (which was designed by Gary Roger Baird of Global Golf Design) has been recognized by Golf Digest as "America's Best New Bargain." The courses at Dancing Rabbit Golf Club have won a number of awards, and when you visit either The Azaleas or The Oaks, you'll immediately see why. Both courses are open to the public, and each has its own charms. The primary distinction is that The Azaleas is more relaxed, while The Oaks provides golfers with more of a challenge. The Great Southern Golf Club offers its visitors an opportunity to take part in true Southern history. Holding the distinction of being Mississippi's oldest golf course, Great Southern was originally built to accommodate guests of the Great Southern Hotel, and the course overlooks the beautiful waters of the Mississippi Sound.